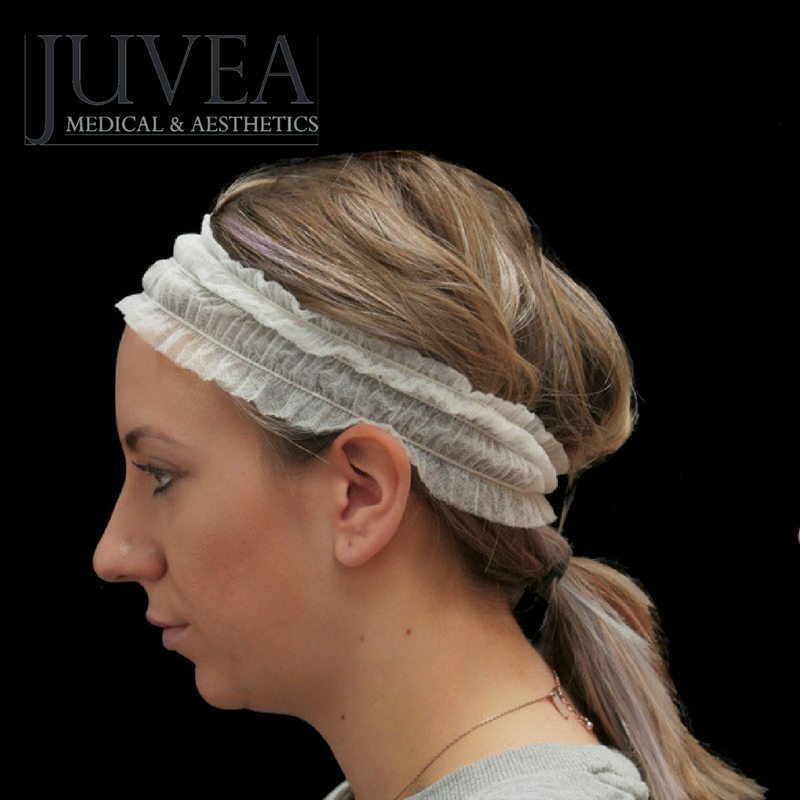 The Submental area is more commonly referred to as the “double chin”. It is a common problem and appears as drooping skin with some fatty tissue beneath. It might have developed with age or, for some, it is a hereditary condition noticeable since childhood. Something that cannot be disguised with make-up and for some this stubborn fat on the chin cannot be improved with diet or exercise, this condition can badly affect a person’s self-confidence. 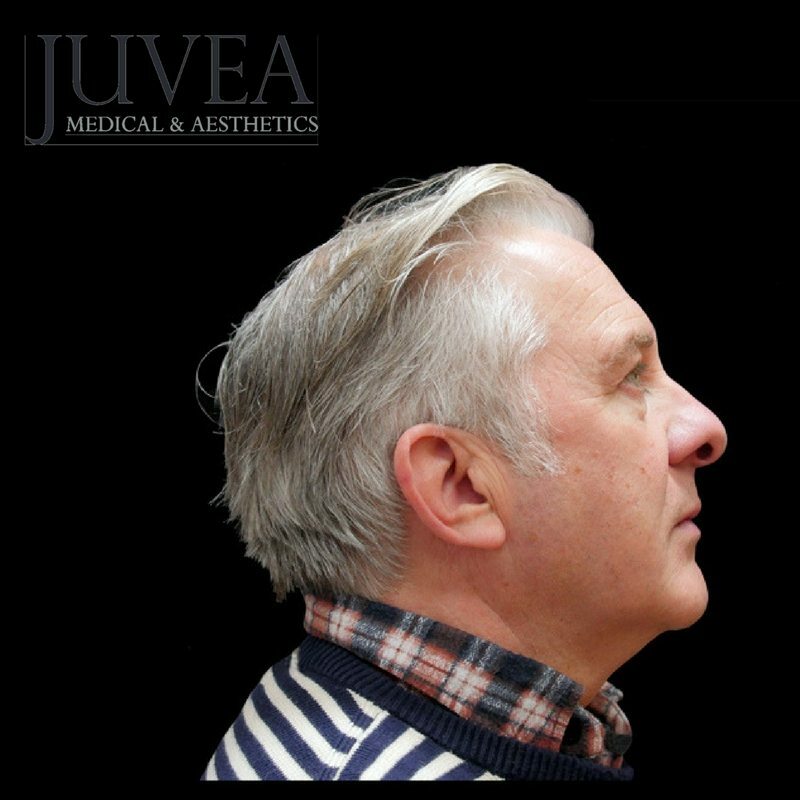 But there is now a simple, pain free and highly effective treatment to dramatically improve the appearance of a double chin. That treatments is SubMental Chin Fat Removal from SculpSure. SculpSure® Is a product by Cynosure®, a leading business in the aesthetics industry. The SculpSure® device is a form of non surgical laser liposuction and has been designed as a state-of-the-art body contouring system to eliminate fat from multiple parts of the body. 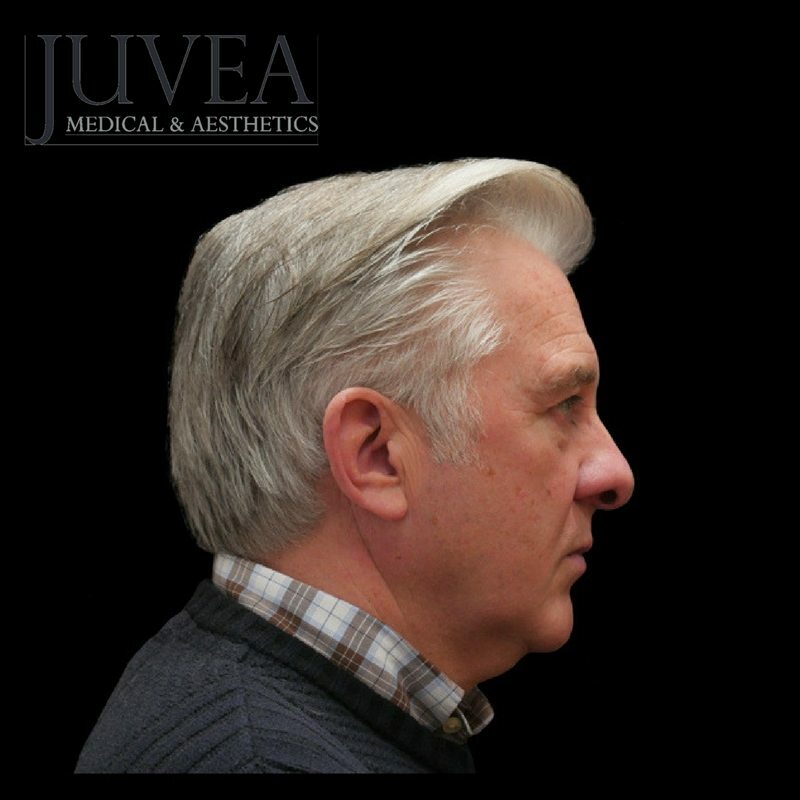 The new SculpSure® can effectively reduce the double chin, or Submental. This area is the latest part of the body that is benefiting from this pioneering fat removal system by Cynosure®. 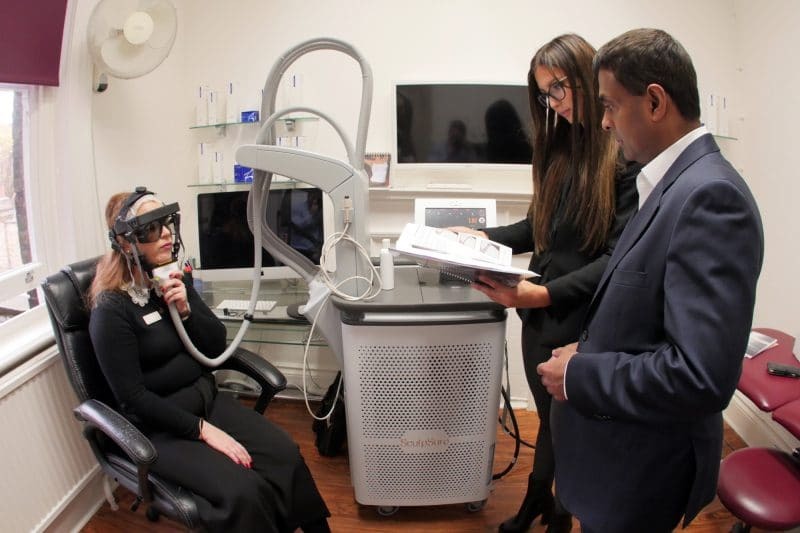 Using the latest in laser technology, the SculpSure® system helps to remove fat from the chin, throat and neck. The device heats the fat cells without affecting the skin’s delicate surface. The temperature is raised sufficiently to aggravate and destroy the cells. The Contact Cooling™ system is deployed to keep the skin cool, safe and comfortable. The whole treatment is usually conducted within 30 minutes. The beauty of this treatment is that the next part of the process is all done naturally by the body’s own lymphatic drainage system. And because the cells are destroyed, the fat cannot return to the treated area. With this selection of photographs you can see just how effective the SculpSure® method is in treating the Submental area. CoolMini (by CoolSculpting): This system uses the opposite method to eliminate fatty areas in that it “freezes” fat cells until they die. The body flushes out the fat and the dead cells in the same way as the SculpSure® device via the lymphatic system. There are mixed reports on the success of this method – good contouring or definition might not be achieved without a number of attempts. 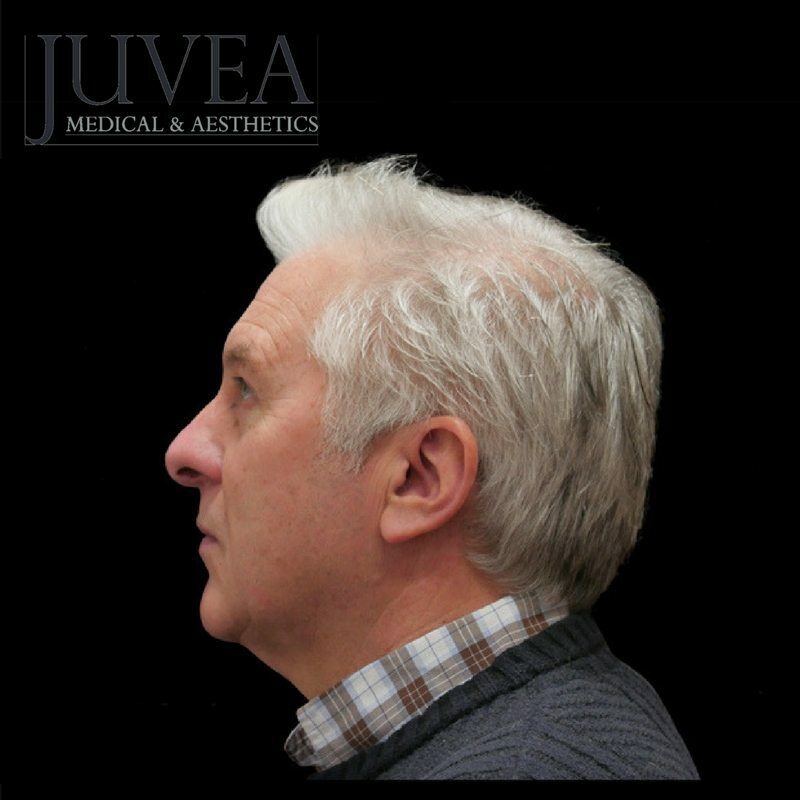 Kybella: This is a very different method, using a prescribed injection. There are associated risks with this kind of therapy such as adverse reactions to the serum or even nerve damage. Essentially this is a more invasive technique and therefore safety concerns will be your number 1 priority. Downtime while recovering needs to be factored in. Traditional Liposuction: The original and conventional approach to fat reduction is through vacuum suction. Although minimally invasive through fine needles, this method does present more risks than the SculpSure® method. 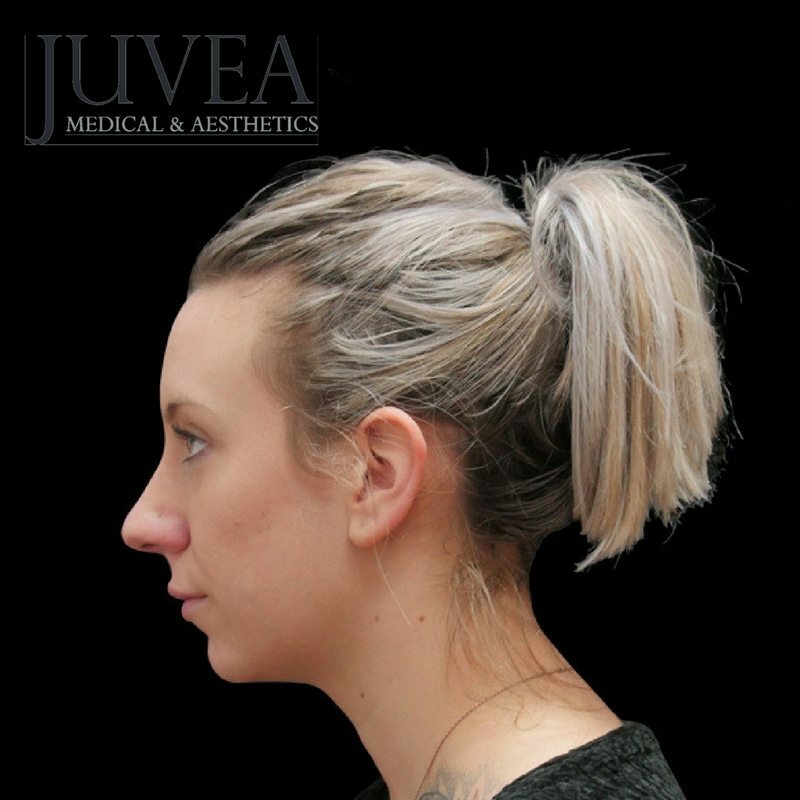 Size/fat reduction is the aim with this procedure rather than perfecting contours and this is sometimes the preferred method for larger areas of the body. Patients report outstanding success and satisfaction rates. Customisable adaptor to suit each patient’s needs. A quick process requiring no down time. Does not affect surrounding areas of skin/flesh. A natural process for fat elimination via the lymphatic system. Fat cells are destroyed, therefore fat cannot resettle in the area. It is probably this last point that makes the SculpSure® a superior treatment to other methods and devices. The total number of fat cells a person holds in any one area of the body is determined around the time of puberty. These cells will simply fill up or empty of fatty tissue during times of weight gain or weight loss. The actual cells never diminish. But with the SculpSure® system these cells are destroyed via the agitation caused by the heat from the laser. This means a permanent removal of fat cells in the treated area of the body. + Is the SculpSure® SubMental chin fat removal treatment painful? No, there is no pain during the SculpSure® procedure. Patients report a warming or tingling sensation but it is not unpleasant. + How long will it be before I see the ideal results? Because the fat cells and fatty tissue is removed via the body’s lymphatic draining system the desired results may vary from patient to patient. 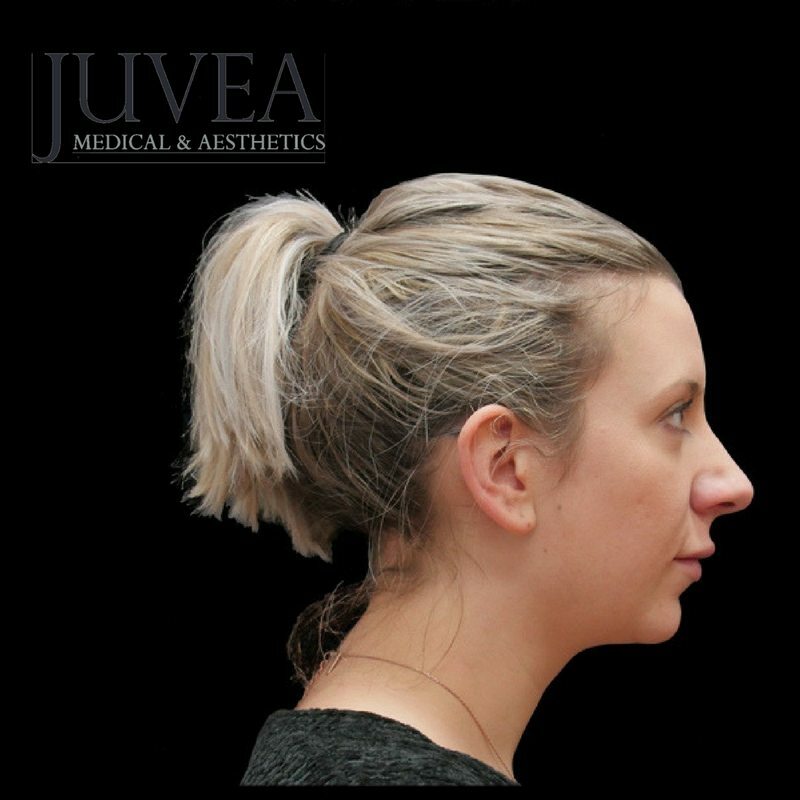 However, some patients report impressive results as soon as six weeks, but the general advice is to wait until around 12 weeks before judging the overall result of the procedure. 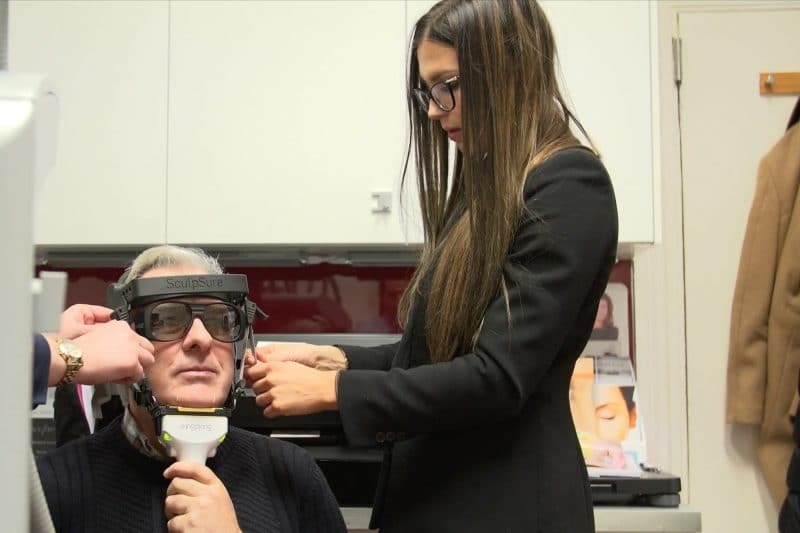 + How effective is SculpSure® SubMental at removing chin fat? In a recent clinical trial of 57 patients (treated twice with a six week time lapse between the sessions), the results were considered highly successful – even outstanding. 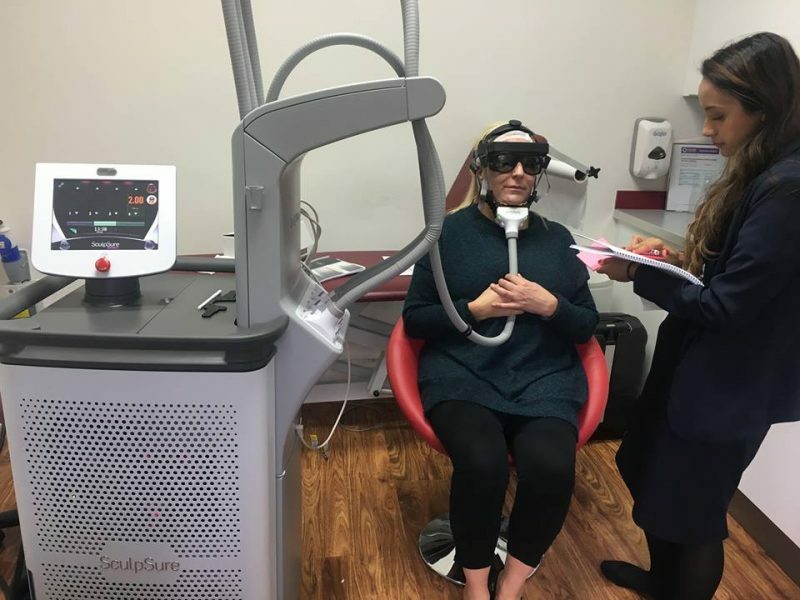 Patients reported 100% satisfaction applicable to the speed of treatment, reduction of fat from the area, finer contouring and the lack of any discomfort. + How long does the SculpSure SubMental process take? Typically around 25 minutes is all that is needed to complete the Submental area. This makes it a great treatment to have near to where you live or work as there is virtually no down-time associated to the process. + Is this product approved in the UK? Yes, the product is FDA approved and EMDD (European Medical Device Directive) certified for the Submental area – this is the familiar CE mark for electronic devices. 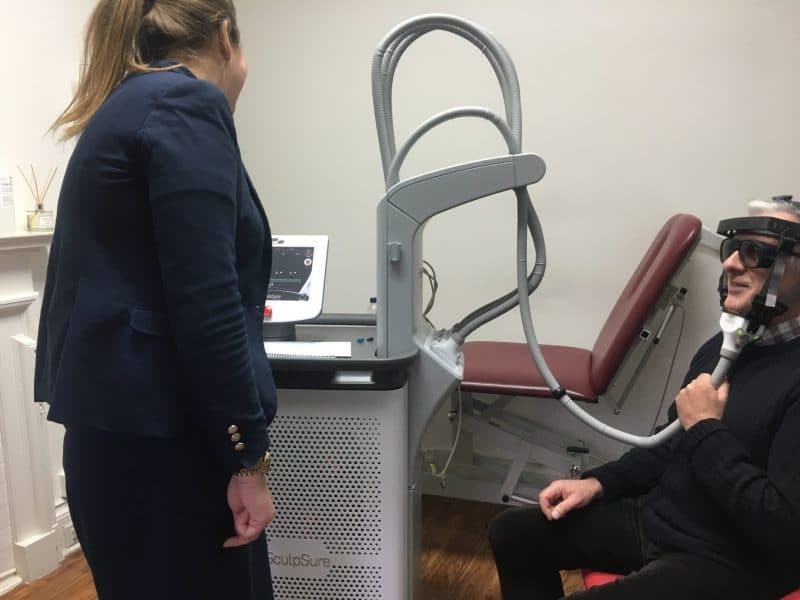 The SculpSure® technology is not only tested for safety and effectiveness generally, it must be approved for use on each and every specific part of the body. SculpSure® is also approved for use on the abdomen, flanks (“love handles), inner and outer thighs and the back. + Will I look “surgically enhanced”? Because the procedure is not a surgical one you can be assured of a more natural-looking appearance and we believe the smart, adaptable SculpSure® device gives a smooth and well defined chin, neck and jaw line. + Is a bad reaction at all likely? Because it is a non-invasive treatment, it is extremely unlikely that you will suffer from an adverse reaction. 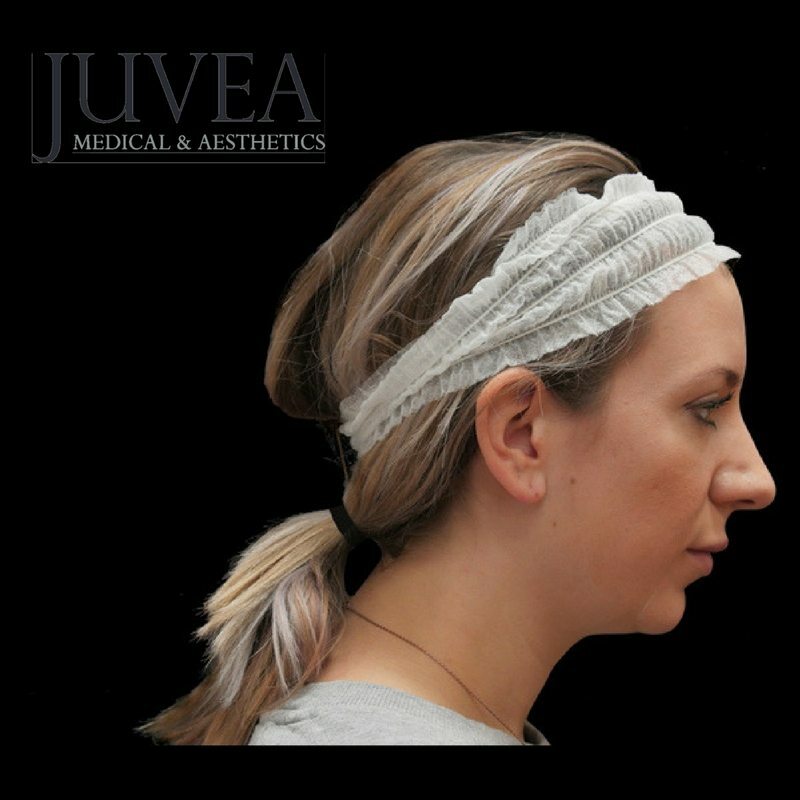 The device has been robustly tested over time and has received specific approval to be used on the chin area. You cannot get better assurance of safety than FDA and European certification. + How will I know if the SculpSure SubMental is right for me? It is unlikely that the SculpSure® treatment would be completely wrong for you unless you have medical problems. However, there might be other alternatives to explore in order to get the optimum results for your condition. 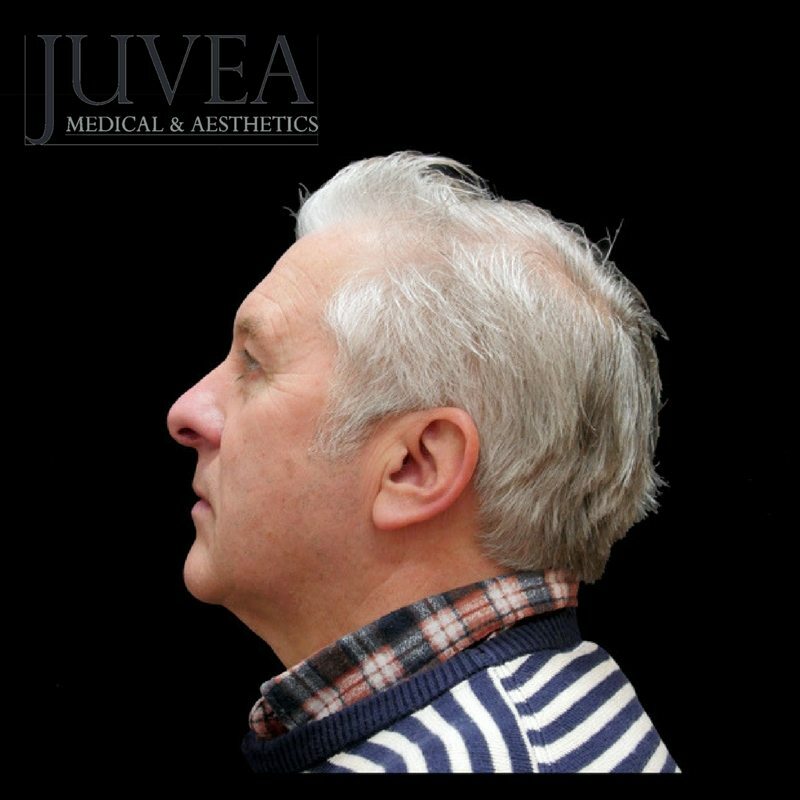 That is why at Juvea we always suggest you talk to an expert on the team to discuss all the options available to you.